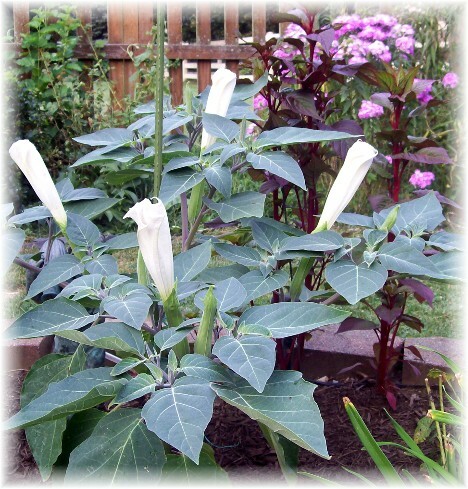 Brooksyne has been looking forward to our moon flower blooming and it finally did so for the first time last night! 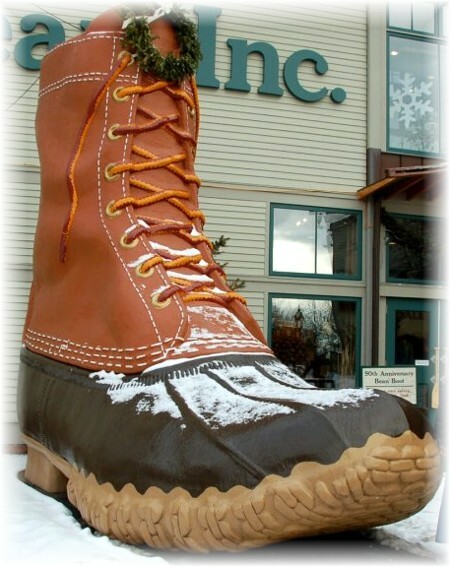 If you happen to be driving up Route 1 in Maine above Portland, you really should stop in the main store for the L.L. Bean Company. Don't worry about when you get there since it's open 24 hours a day year round. It's a huge store with many displays of stuffed and mounted skins of animals, live fish and lots and lots of stuff. Once when we lived in New England we were up that way and stopped on Christmas evening about 10:00 and plenty of people were walking through even at that time. What many people like about the L.L. Bean store is the quality of their merchandise and their guarantee which is expressed on an ad slogan. It unambiguously states "Guaranteed – You have our word!" I understand people have taken them up on it and they do keep their word. That's a real statement in today's business world. However I like this statement written on a catalog several years ago: "We guarantee everything except the weather." Well we know of an infinitely greater guarantee, one that is essentially eternal and lasts forever. This guarantee assures forgiveness of sins, eternal life and a place in heaven for all recipients of the "better covenant". Amazingly so few seem interested in this guarantee. However fine the product is at L.L. Bean it will eventually be among that which moth and rust will one day destroy. But Christ is the guarantee of a "better covenant" in which we are receiving a "kingdom that cannot be shaken" (Hebrews 12:28) and the "eternal kingdom of our Lord and Savior Jesus Christ" (1 Peter 1:12). The guarantor is Jesus Christ. Long after venerable L.L. Bean is defunct our Lord Jesus will be reigning supreme. "All may change but Jesus never, glory to His Name!" "Jesus is able to save completely those who come to God through Him, because He always lives to intercede for them" (Hebrews 7:25). Have you come to God through Jesus? Do so today! Daily prayer: Father, the large majority of people build their hopes and dreams on that which will pass away but we build our lives on the better covenant which will be completely fulfilled as we cross over to the Promised Land. How wonderful that You save to the uttermost. No one will be denied a place in heaven who comes to You in humility, repentance, and faith. It is in Jesus' name that we thank You! Amen. This is what the moon flower looked like late yesterday afternoon. 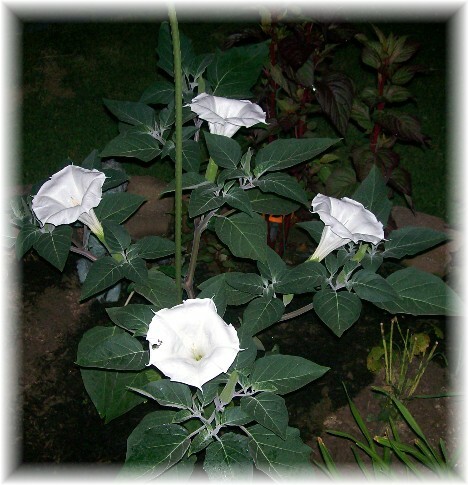 The petals open fully after the sun is down which is why it's called the Moon Flower. Now for some rather meaningless trivia that I find interesting: What does the L.L. stand for in L.L. Bean? Guaranteed Forever? We found this bath product line that makes the claim of being guaranteed forever!